The House Armed Services seapower and projection forces subcommittee would have the Navy put the Virginia Payload Module (VPM) on all its Block V Virginia-class attack submarines (SSN-774), rather than only two-thirds of the fleet as the Navy is currently budgeting for. The Navy has said it needs 20 attack subs outfitted with VPM – a 70-foot hull extension that adds 28 Tomahawk Land Attack Missiles or other similar payloads – to compensate for the loss of four SSGN guided missile submarines in the 2020s. Navy acquisition chief Sean Stackley clarified earlier this year that the service would begin producing one VPM a year in Fiscal Year 2019 to coincide with the Block V multiyear procurement contract. 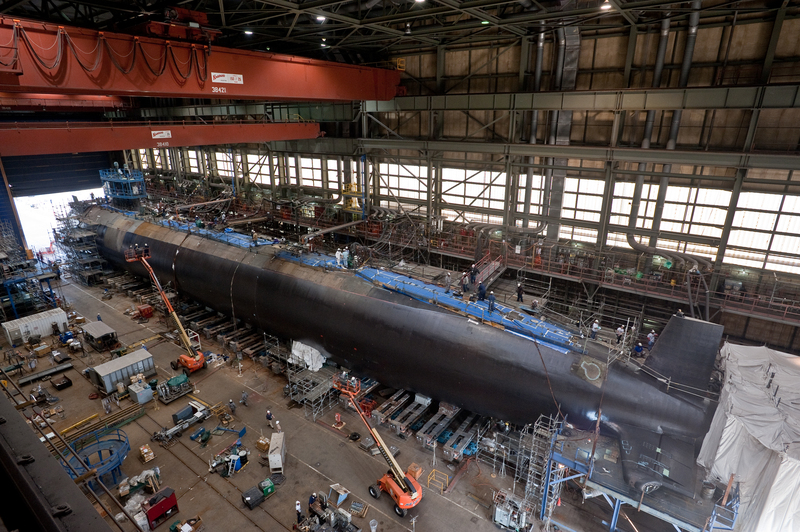 General Dynamics Electric Boat and Newport News Shipbuilding, who build the attack submarines, will also be involved in the Ohio Replacement Program ballistic missile subs, and the Navy is trying to understand how the massive increase in workload will play out across industry. Stackley announced several studies that would look at that workload and whether VPM production could be accelerated or increased given that busy work environment. “We have to manage the total workload at the submarine yards, we have to determine can we in fact accelerate the design and development activities to support an earlier introduction of the payload modules, and then look at balancing the workload across the two yards to do it,” Stackley said at the hearing. The subcommittee, however, decided it wanted VPMs on all the Block V boats. “We basically said, that doesn’t make any sense to us, we believe that VPM needs to be resident in all Block V Virginia-class submarines,” a subcommittee staffer told reporters today ahead of Thursday’s subcommittee markup. The staffer said the Navy’s decision to not include the additional missile tubes in all the subs was budget-based and did not make sense given the upcoming loss of the SSGNs. The staffer argued that building each attack sub with the VPM would rebuild the missile-carry capacity faster and create production line efficiencies. Another staffer added that the committee wants to obtain sufficient information on speeding up and increasing production before making any decisions. The Virginia program is a bright spot in the Navy’s shipbuilding portfolio, the staffer said, and the committee doesn’t want to make uninformed decisions that could hurt such a stable program. Additionally in the FY 2016 defense bill, the subcommittee includes $5.3 billion for two Virginia subs, the largest request in the shipbuilding account.